The Australian director Cate Shortland has made a quite stunning film about the collapse of Nazi Germany, seen not from a Berlin bunker but through the eyes of a 14-year-old girl whose SS father and mother, complicit in war atrocities, have disappeared to face the music. 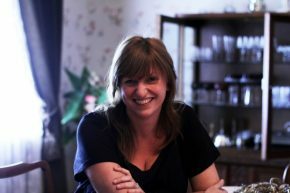 Cate Shortland established herself as a serious filmmaker with her impressive feature debut, Somersault, which premiered at the Cannes Film Festival in 2004. 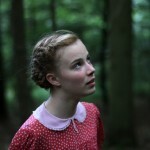 Her second film, the visually stunning Lore, which opens February 8th, follows the harrowing journey of a fourteen-year-old German girl (Saskia Rosendahl) who leads her four siblings across a war-torn Germany after her Nazi parents are imprisoned by the victorious Allies at the end of World War II. When she meets a mysterious young refugee, Thomas (Kai Malina), she must put her trust in the very person she was always taught to hate in order to survive.